Board Exam Results: October 2014 Certified Plant Mechanic (list of passers, topnotchers, performance of schools) - Balita Boss! 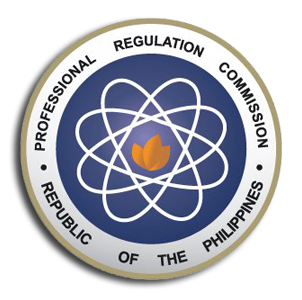 The Professional Regulation Commission or the PRC released the October 2014 Certified Plant Mechanic Licensure Examination results. The official results were released on Friday, October 10, 2014. A total of 32 out of 59 examinees passed the October 2014 Certified Plant Mechanic Board Exam, according to PRC (via PRC Website). View or download the performance of schools in the October 2014 Certified Plant Mechanic Licensure Examination at prc.gov.ph. The Board of Mechanical Engineering who administered the October 2014 Certified Plant Mechanic Board Exam were Engr. Leandro A. Conti as Chairman, and Engr. Vicente B. Vosotros, Member. The date and venue for the oathtaking ceremony of the new successful examinees in the October 2014 Certified Plant Mechanic Licensure Examination will be announced later, the PRC said. Certified Plant Mechanic board exam covers the following subjects: elements of power plant machinery (30%), shop machinery (35%) and practice and elements of industrial plant machinery (35%). In March 2014 Licensure Exam, a total of 22 out of 42 successfully passed the Certified Plant Mechanic Board Exam.